Hail to The King… The Movie! 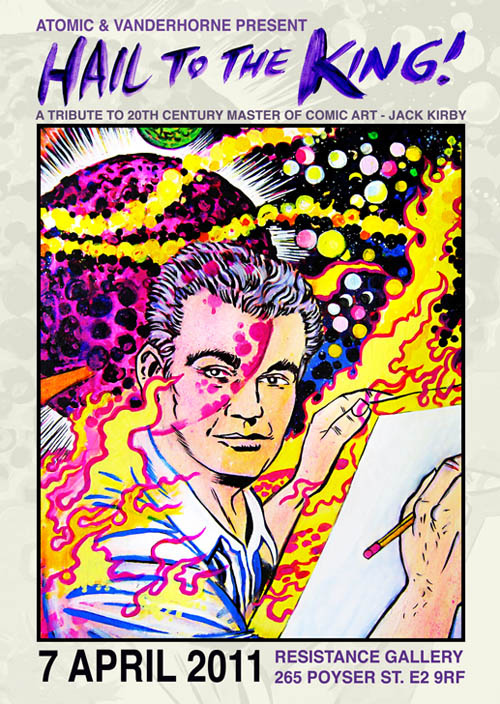 Posted May 16, 2011 in Jack Kirby, Jason Atomic. The recent Kirby tribute exhibition Hail to The King is showcased in this great little mini-doc which includes interviews with the co-curators Jason Atomic and Garry Vanderhorne on the inspiration behind the show.Due to popular demand Hail to The King will be opening for a month long run at London’s Orbital Comics from June 9th – July 9th. 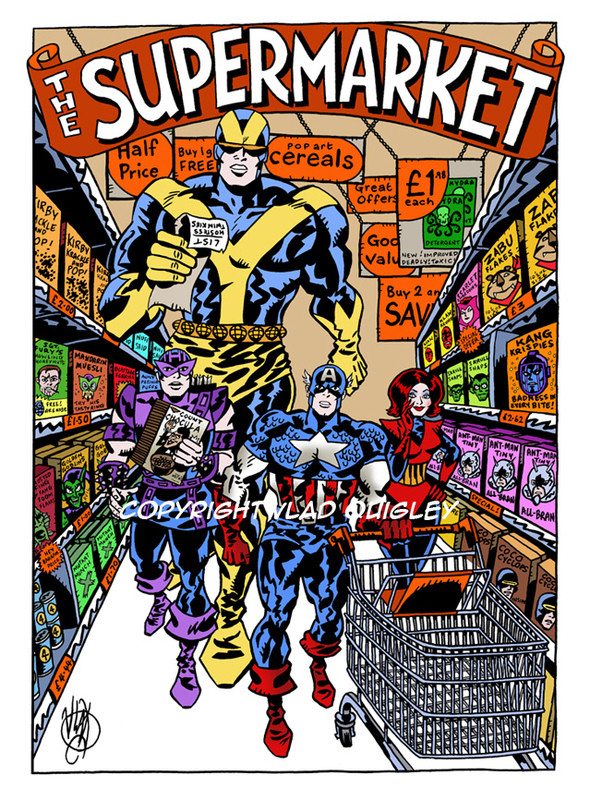 Kirby-Vision would like to wish Jason and Garry all the best on what looks like an exceptional show. 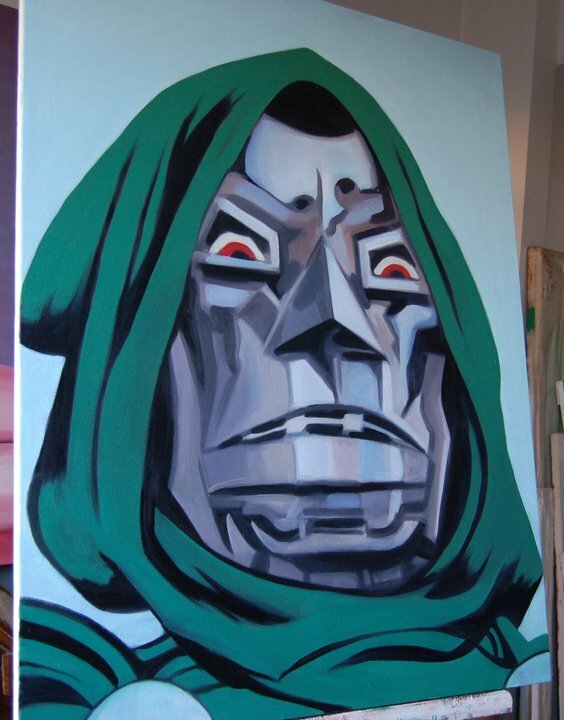 Posted April 3, 2011 in Carl Stimpson, Devil Dinosaur, Doctor Doom, F. K. Alam, Jack Kirby, Jason Atomic, The Avengers, Vlad Quigley. 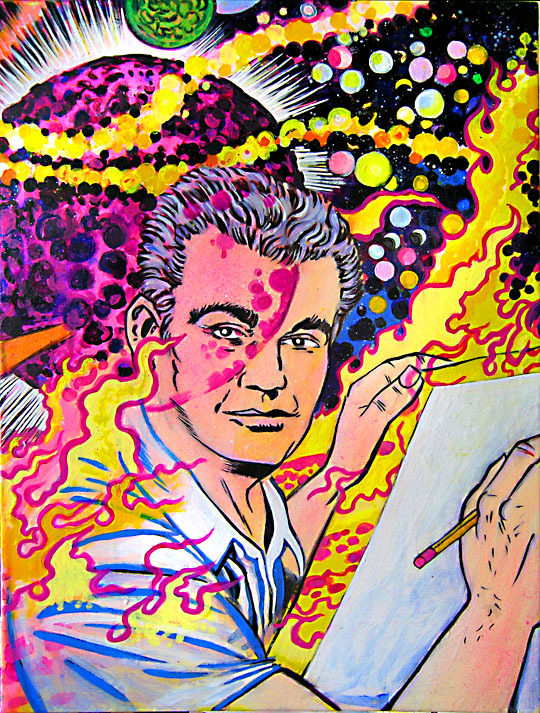 Posted February 16, 2011 in Jack Kirby, Jason Atomic. 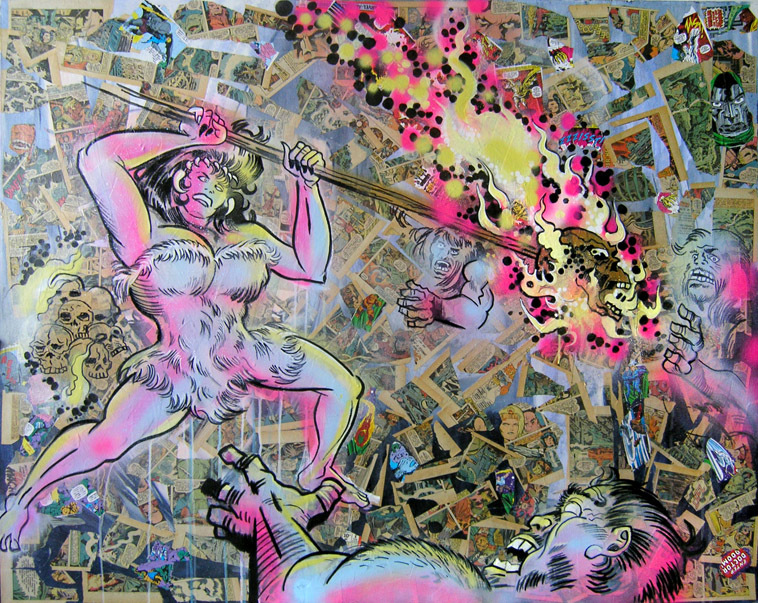 Two paintings by Jason Atomic from the forthcoming Kirby tribute exhibition, “Hail to the King”. 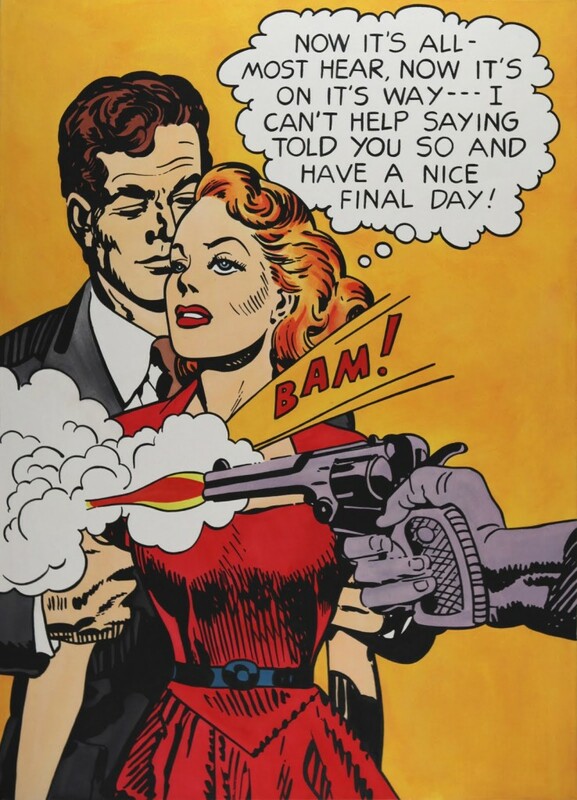 The show at, London’s Resistance Gallery, opens on for one night only on April 7th (viewings by appointment after this date) and will feature Kirby inspired art from Atomic, Feroze Alam and Vlad Quigley. Watch this space for more details. 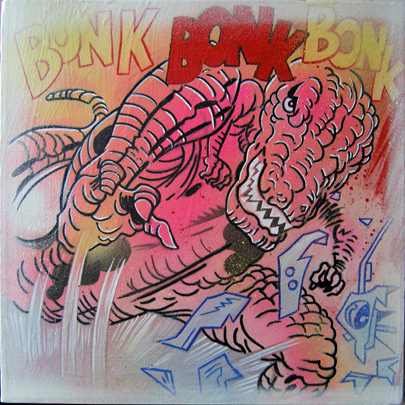 Posted November 18, 2010 in Devil Dinosaur, Jason Atomic. 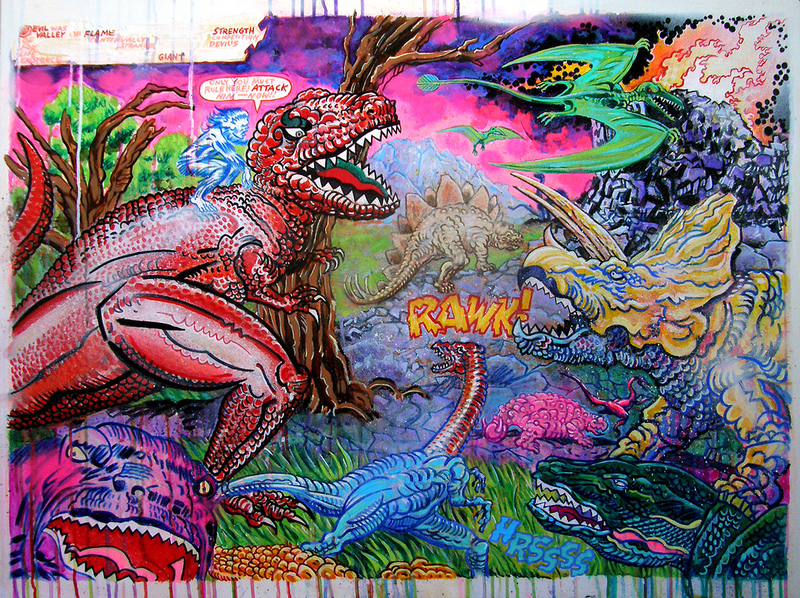 Devil Dinosaur splash page recreated in marker, acrylic, spray paint, enamel & varnish by UK artist Jason Atomic. With a background in comix, Jason now documents the freak icons of the underground art, music and club subcultures of London and Tokyo. You can find more of Jason energetic paintings at his website and Flickr page. 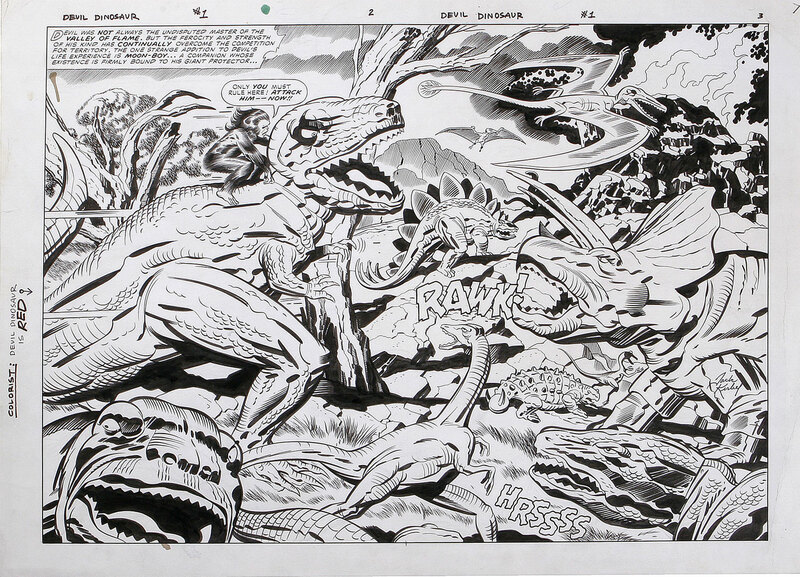 Original artwork, from Devil Dinosaur #1, by Jack Kirby and Mike Royer via Entrecomics.